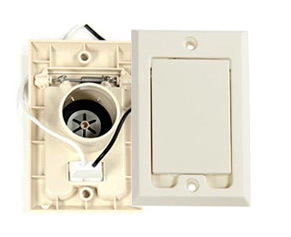 Your beautiful home and routine vacuum experience depend on functional wall plates. Don't let a broken vacuum inlet ruin the day. We offer a variety of types, colors, and styles ready for your wall today! 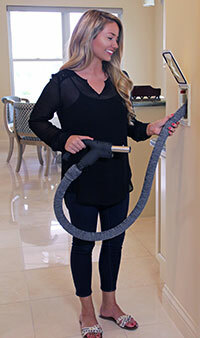 This vacuum solution eliminates the cumbersome task of putting your vacuum hose away while providing deep cleaning on all floors and carpeting. Permanently solve issues caused by hoses and cords. Minimize the amount of hose needed. Ensures efficiency by reducing the number of vacuum inlets. 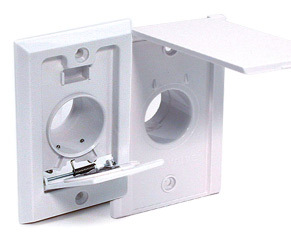 Standard low voltage valves are the most commonly used valves. 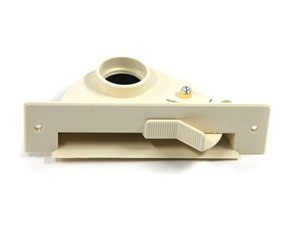 The suction starts when a hose engages the two metal contacts inside. 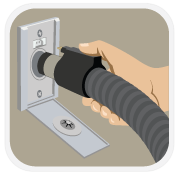 A vacuum hose with a two way rocker switch can control the suction as well. SuperValves integrate 120 volts into the valve to operate an electric powerbrush without exposing a cord. This allows an electrified hose and carpet beater brush for quiet, deep cleaning. These are available in various styles and colors. Simply sweep debris right up to your baseboard or toe kick and kick the on/off switch to whisk away your messes. These are available in various styles and colors.